Last weekend I planted the tomato and pepper seedlings. 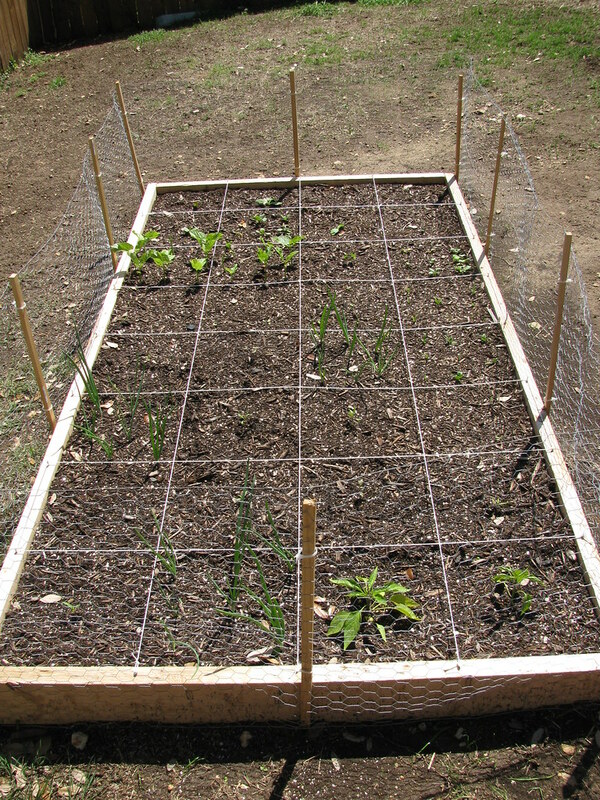 The whole garden is now planted. However when I went out mid week I noticed one of my pepper plants was missing. I have no idea how it happened. The dogs can't get to them so I thought it was maybe a bird, but I still thought it was weird that a bird would take a small pepper plant. 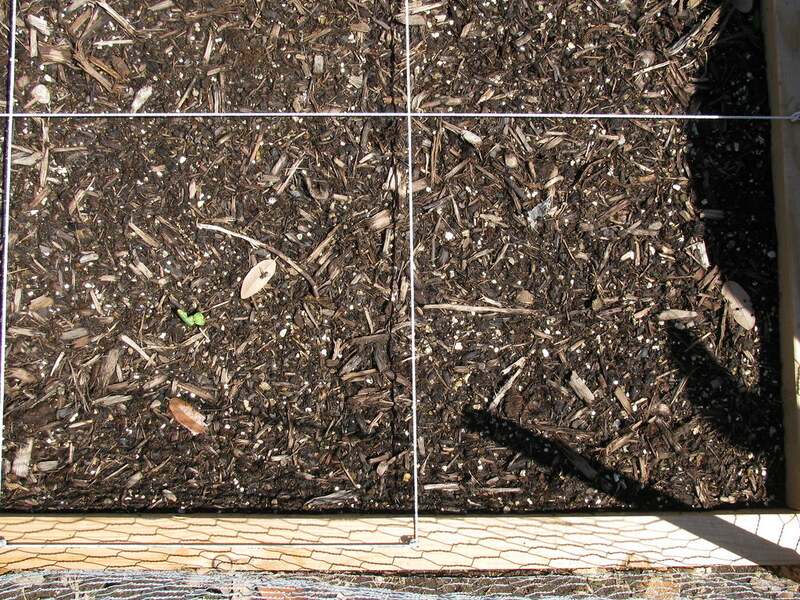 Then I went to replant the day I took these pictures I found a grub in the soil. EW! I hate grubs. I think they're so disgusting. How it got into the garden I don't know. The only thing I can come up with is that when we were digging up the ground one may have been laying around made it's way into the soil that we were mixing. We came across a lot of grubs when we were digging so it's possible. I've got to do something about the grubs in the yards. It's probably why we still can't grow grass. Pretty much everything else has sprouted in the garden. The spinach is doing well. My green beans are giant. I was going to plant new seeds, but when I went to dig a whole I found the sprouting seeds. They just haven't reached the soil yet. 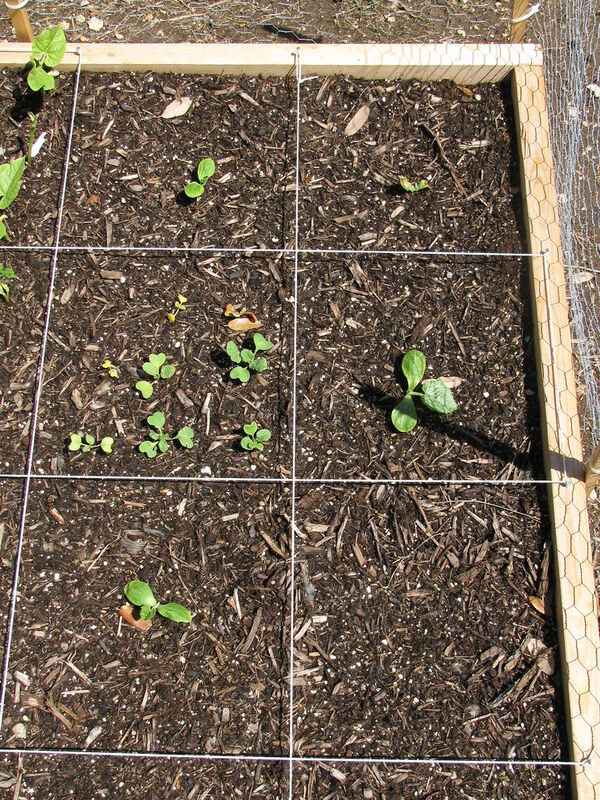 Here are my squash and zucchini plants as well as the radishes (the square with multiple plants). 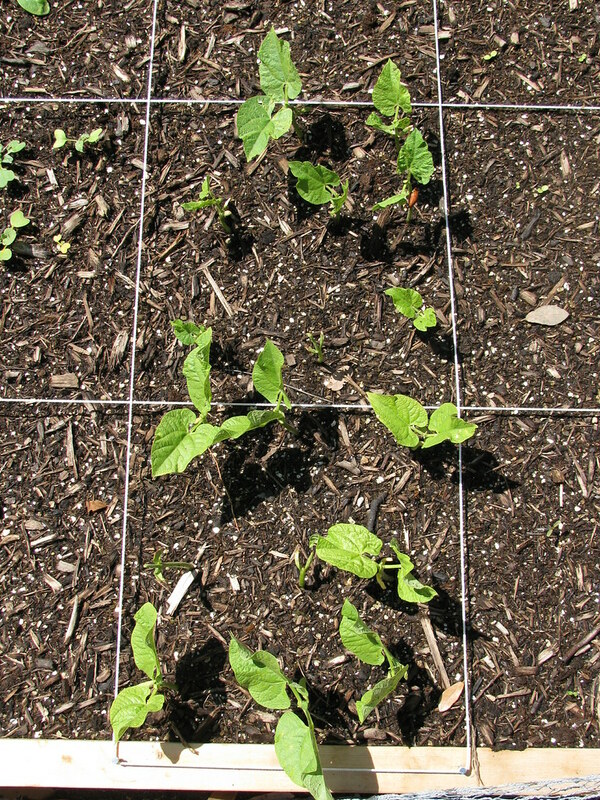 The empty square is nasturtium, which I did replant since the seeds haven't sprouted. Next year I really need to start my seeds earlier. I can tell they've flourished since I've moved them to the bed, but I wish they were bigger. I'm a little worried that it may get too hot before they start producing, but we'll see. I specifically sought out heat tolerant seeds for this reason so we'll see how it goes! I had to google grubs, because I had never heard of them. BARF. 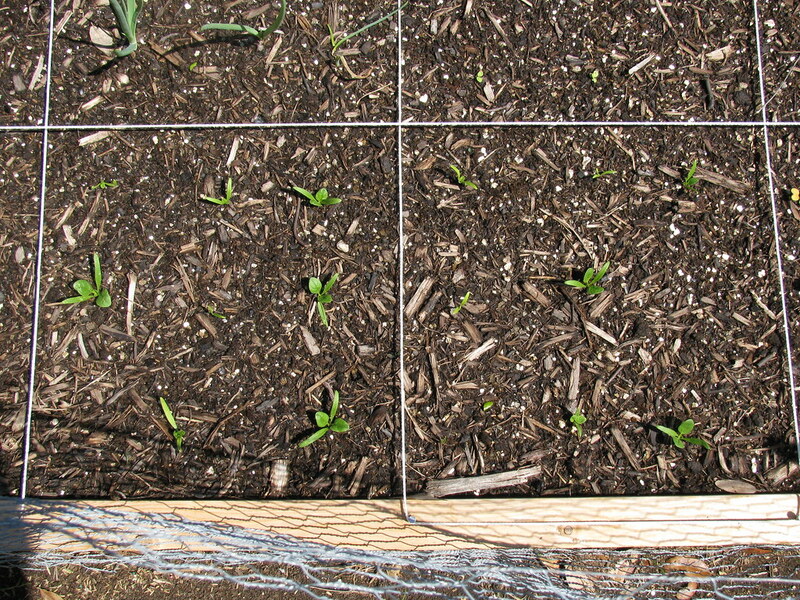 Also, I think I'm really in for it this year--I'm really contemplating not starting seeds inside this year. We just don't have anywhere in the house that really gets a lot of sun! Girl your garden looks amazing! I can't wait to get out there and plant my stuff. I hope my asparagus comes up this year. It's supposed to take 2 or 3 years to get a crop but it comes back every year. Based off your and Meredith's comments, no googling grubs for me. Garden looks great! Feel free to ship an excess veggies to Missouri!